A British production from 1931. “Casablanca” was filmed while Humphrey Bogart lived above the Sunset Strip, at the corner of Shoreham Drive and Horn Avenue. Here’s a view of the same area, around the same time, taken from the roof of the Sunset Tower Apartments. Barbara Payton reached the pinnacle of Hollywood in 1950. Blonde and beautiful, her libido was robust, her taste ribald; her lovers formed a who’s who of Hollywood leading men from Bob Hope, George Raft, Gary Cooper, Gregory Peck, Guy Madison to Tarzan — with dozens and dozens of lesser lights in between. The tabloids feasted on her liaisons. 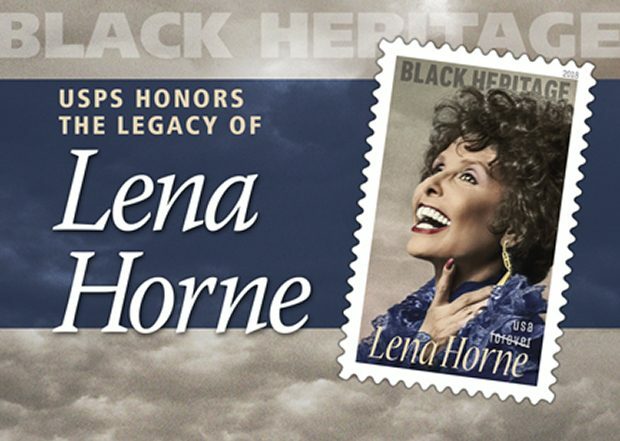 When she flouted Hollywood’s code by taking on a black lover in 1955, her career was over at age 27. She went from making $10,000 a week at Warner Brothers to utter destitution and ruin, turning tricks for $5 on Sunset Strip. The death of Leonard Nimoy last week was one of those rare losses to the culture that cuts across generations. As Mr. Spock, the ultra-rational, half-human, half-alien character he portrayed on “Star Trek,” Nimoy was instantly recognizable to sci-fi fans of all ages, from wizened old Boomers to hipster millenials — like the crowd who paused for a moment of silence at the Long Beach Comic Expo on Saturday, all of them giving Spock’s trademark Vulcan salute, to honor the passing of the 83-year-old actor. While Nimoy personified Spock, the character was the invention of Gene Roddenberry, the creative genius behind “Star Trek,” a bold and imaginative wild-West adventure series set in the far reaches of the galaxies — “where no man had gone before” — that premiered in 1966, three years before the first man, Neil Armstrong, had stepped foot on the moon. 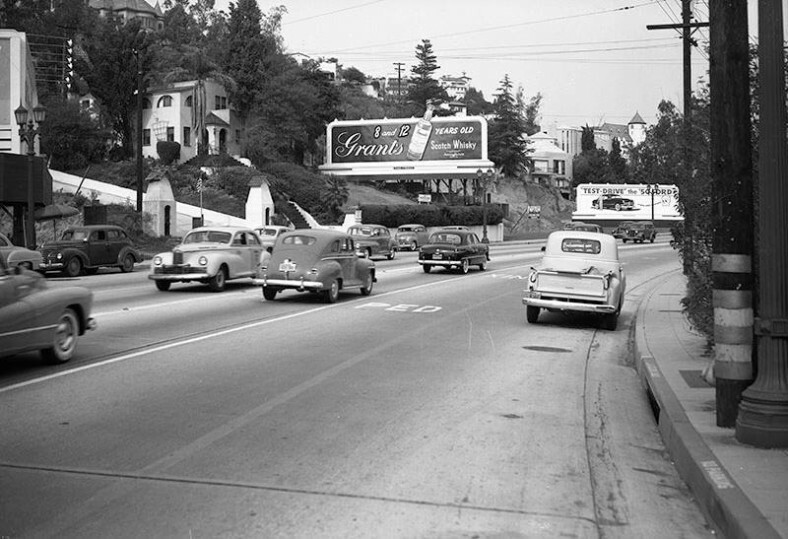 Top: Sunset Plaza Drive on the Sunset Strip at Christmastime in the late 1930s, with the luxurious Sunset Plaza Apartments on the hill in the background. Bottom: The same intersection in December 2014. 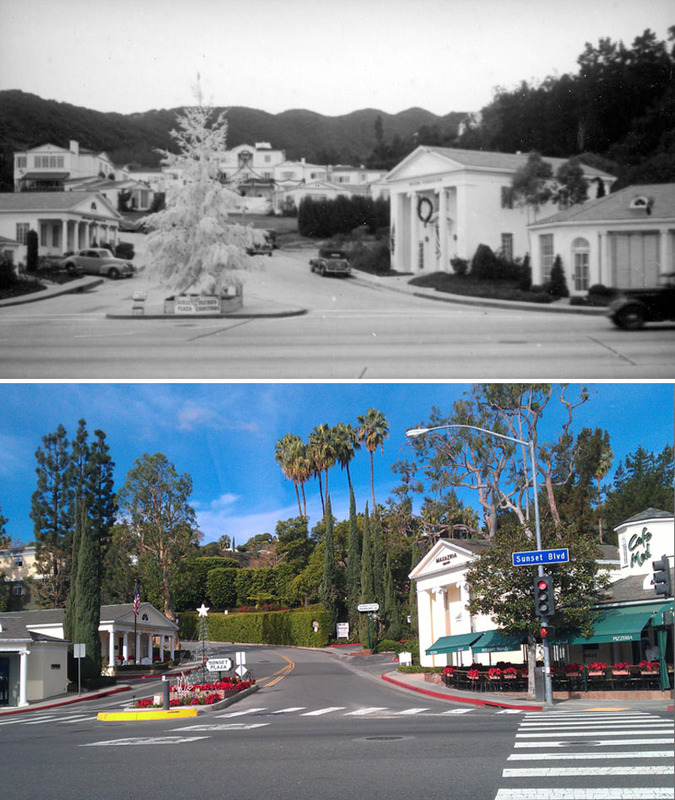 Many of the nearby buildings remain but the Sunset Plaza Apartments were demolished in 1987 and replaced by a residence that is hidden behind tall shrubbery. 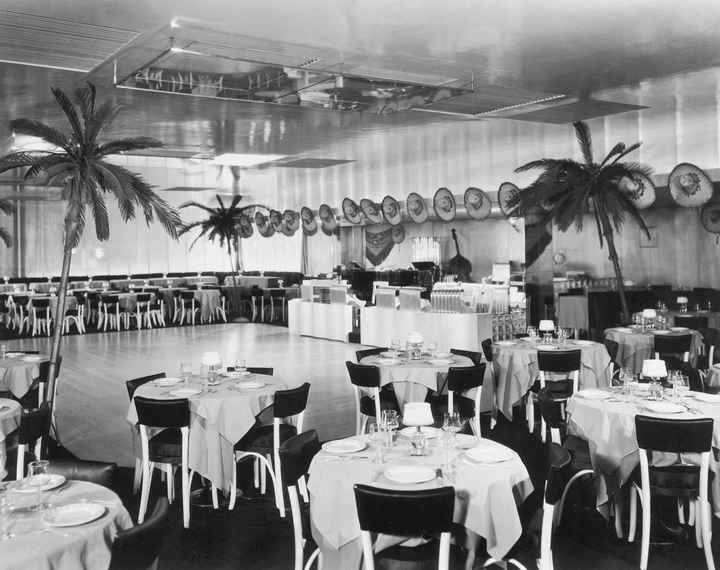 During the Sunset Strip’s early incarnation as Hollywood’s playground, the Strip was more than just an entertainment destination where the stars dined, drank and gambled, it was a desirable address. 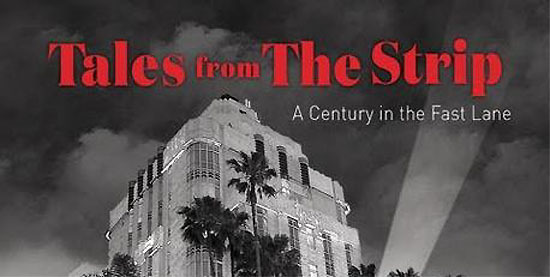 Perched on a hill above Sunset Plaza midway along the Strip, the Sunset Plaza Apartments were the westernmost and last-built luxury apartment buildings on the Strip. Three of the buildings on Sunset are still standing. 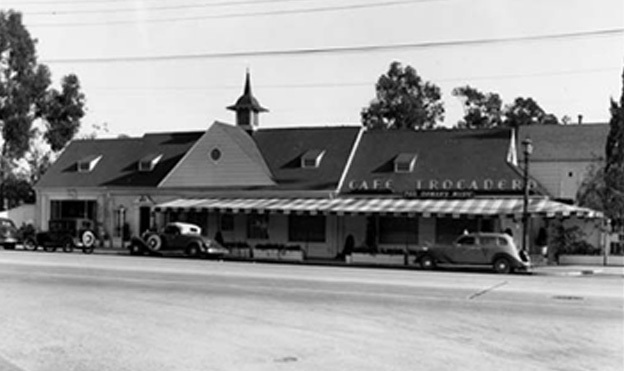 Two have been repurposed as hotels — the Chateau Marmont and Sunset Tower, built in 1929 and 1931, respectively — and one, the Hacienda Park Apartments, built in 1927, is an office building now called the Piazza del Sol. The others, including Sunset Plaza Apartments, have been demolished.